The map Descrittione del L'Isola Iamaica by Tomasso Porcacchi (1530-1585) was engraved on copper for the well-known illustrator Girolamo Porro. 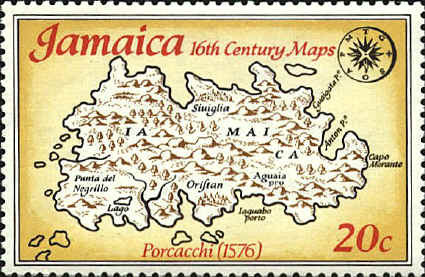 This map and one of Puerto Rico were issued for the first time in Porcacchi's atlas L'Isole piu famose del mondo, published in Venice in 1576 by Simon Giglignani. 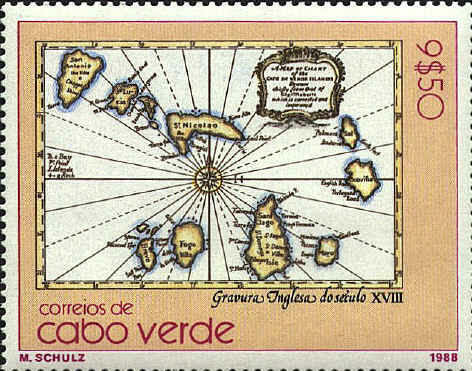 A Map or Chart of Cape de Verde Islands. After being found guilty of conspiring to kill King Charles II, and being reprieved at the wish of James, Duke of York, John Seller was appointed Hydrographer by Charles II in 1671. He continued in that office under James II and William II. His position gave him a monopoly on publishing nautical atlases in England. 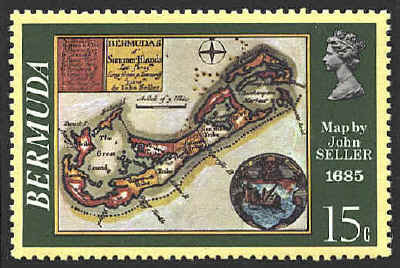 The map Bermudas al' Summer Islands Lat 32d 25m Long from p Tenneriff 322d 0m by John Sellers was published in A New Survey of Geography, London, 1685.